Star Automations has successfully supplied flexible control, automation and robotic cables to meet our customer’s specific application needs. A wide range of motor, encoder and feedback (Encoder) cables suitable for fixed and constant flexing applications. We will build new servo motor cables for any machine or control including Yaskawa , Panasonic ,Delta, Fanuc, Mitsubishi, Siemens, Indramat and Lenze, Yasnac, and more. Robots pick and place machines, packaging machinery, SPM, automated handling equipment, conveyor systems, C-track systems, industrial manufacturing equipment, control panels, power generation equipment, wire harness applications and CNC machine. 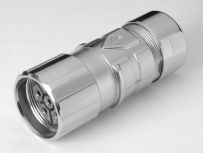 Power and signal circular connectors designed to be used on servo motor and in servo harnessing. If you are looking for replacement cable, backup, or a higher quality cable, please contact us. We will do our best to help you find the Cable and connectors that you are looking for at the most competitive prices possible.